 IPCC (2013) Climate Change 2013: The Physical Science Basis. Contribution of Working Group I to the Fifth As-sessment Report of the Intergovernmental Panel on Climate Change. Cambridge University Press, Cambridge, UK and New York, USA. 董文军, 来永才, 孟英, 等. 稻田生态系统温室气体排放影响因素的研究进展[J]. 黑龙江农业科学, 2015(5): 145-148. Wuebbles, D.J. and Hayhoe, K. (2002) Atmospheric Methane and Global Change. Earth-Science Reviews, 57, 177- 210. Cai, Z.C., Kang, G.D., Tsuruta, H., et al. (2005) Estimate of CH4 Emission from Year-Round Flooded Rice Fields during Rice Growing Season In China. Pedosphere, 15, 66-71. 董红敏, 李玉娥, 陶秀萍, 等. 中国农业源温室气体排放与减排技术对策[J]. 农业工程学报, 2008, 24(10): 269- 273. 中华人民共和国气候变化初始国家信息通报[M]. 北京: 中国计划出版社, 2004: 15-20. Zou, J., Huang, Y., Qin, Y., et al. (2009) Changes in Fertilizer-Induced Direct N2O Emissions from Paddy Fields during Rice-Growing Season in China between 1950s and 1990s. Global Change Biology, 15, 229-242. 黄耀, 张稳, 郑循华, 等. 基于模型和GIS技术的中国稻田甲烷排放估计[J]. 生态学报, 2006, 26(4): 980-988. 廖松婷, 王忠波, 张忠学, 等. 稻田温室气体排放研究综述[J]. 农机化研究, 2014(10): 6-11. Wang, M. and Li, J. (2002) CH4 Emission and Oxidation in Chinese Rice Paddies. Nutrient Cycling in Agroecosystems, 64, 43-55. Zou, J., Huang, Y., Zheng, X., et al. (2007) Quantifying Direct N2O Emissions in Paddy Fields during Rice Growing Season in Mainland China: Dependence on Water Regime. Atmospheric Environment, 41, 8030-8042. Gao, B., Ju, X.T., Zhang, Q., et al. (2011) New Estimates of Direct N2O Emissions from Chinese Croplands from 1980 to 2007 Using Localized Emission Factors. Biogeosciences, 8, 3011-3024. 章永松, 柴如山, 付丽丽, 等. 中国主要农业源温室气体排放及减排对策[J]. 浙江大学学报(农业与生命科学版), 2012, 38(1): 97-107. 王丽丽, 闫晓君, 江瑜, 等. 超级稻宁粳1号与常规粳稻CH4排放特征的比较分析[J]. 中国水稻科学, 2013, 27(4): 413-418. 闫晓君, 王丽丽, 江瑜, 等. 长江三角洲主要超级稻CH4排放特征及其与植株生长特性的关系[J]. 应用生态学报, 2013, 24(9): 2518-2524. 曹云英, 朱庆森, 郎有忠, 等. 水稻品种及栽培措施对稻田甲烷放的影响[J]. 江苏农业研究, 2000, 21(3): 22-27. 牟长城, 陶祥云, 黄忠文, 等. 水稻品种对三江平原稻田温室气体排放的影响[J]. 东北林业大学学报, 2011, 39(11): 89-92. Dannenberg, S. and Conrad, R. (1999) Effect of Rice Plants on Methane Production and Rhizospheric Metabolism in Paddy Soil. Biogeochemistry, 45, 53-71. 田光明, 何云峰, 李勇先. 水肥管理对稻田土壤甲烷和氧化亚氮排放的影响[J]. 土壤与环境, 2002, 11(3): 294- 298. 袁伟玲, 曹凑贵, 程建平, 等. 间歇灌溉模式下稻田CH4和N2O排放及温室效应评估[J]. 中国农业科学, 2008, 41(12): 4294-4300. 耿春伟, 付志强. 稻田水肥组合模式的CH4和N2O排放特征及其差异比较[J]. 作物研究, 2012, 26(7): 9-13. 彭世彰, 侯会静, 徐俊增, 等. 稻田CH4和N2O综合排放对控制灌溉的响应[J]. 农业工程学报, 2012, 28(13): 121-126. 石岳峰, 吴文良, 孟凡乔, 等. 农田固碳措施对温室气体减排影响的研究进展[J]. 中国人口∙资源与环境, 2012, 22(1): 43-48. Towprayoon, S., Smakgahn, K. and Poonkaew, S. (2005) Mitigation of Methane and Nitrous Oxide Emissions from Drained Irrigated Rice Fields. Chemosphere, 59, 1547-1556. Yan, X.Y., Akiyama, H. and Yagi, K. (2009) Global Estimations of the Inventory and Mitigation Potential of Methane Emissions from Rice Cultivation Conducted Using the 2006 Intergovernmental Panel on Climate Change Guidelines. Global Biogeochemical Cycles, 23, GB2002. 李香兰, 马静, 徐华, 等. 水分管理对水稻生长期CH4和N2O排放季节变化的影响[J]. 农业环境科学学报, 2008, 27(2): 535-541. 李香兰, 徐华, 曹金留, 等. 水分管理对水稻生长期N2O排放的影响[J]. 土壤, 2006, 38(6): 703-707. 卢静, 刘金波, 盛荣, 等. 短期落干对水稻土反硝化微生物丰度和N2O释放的影响[J]. 应用生态学报, 2014, 25(10): 2879-2884. 邹建文, 黄耀, 宗良纲, 等. 不同种类有机肥施用对稻田CH4和N2O排放的综合影响[J]. 环境科学, 2003, 24(4): 7-12. 蒋静艳, 黄耀, 宗良纲. 水分管理与秸秆施用对稻田CH4和N2O排放的影响[J]. 中国环境科学, 2003, 23(5): 552-556. 肖小平, 伍芬琳, 黄风球, 等. 不同稻草还田方式对稻田温室气体排放影响研究[J]. 农业现代化研究, 2007, 28(5): 629-632. 焦燕, 黄耀, 宗良纲, 等. 有机肥施用、土壤有效铜和氮素对稻田甲烷排放的影响[J]. 农业环境科学学报, 2003, 22(5): 565-569. 王聪, 沈健林, 郑亮, 等. 猪粪化肥配施对双季稻田CH4和N2O排放及其全球增温潜势的影响[J]. 环境科学, 2014, 35(8): 3120-3127. 沈仕洲, 王风, 薛长亮, 等. 施用有机肥对农田温室气体排放影响研究进展[J]. 中国土壤与肥料, 2015(6): 1-8. Yagi, K., Tsuruta, H. and Minami, K. (1997) Possible Options for Mitigating Methane Emission from Rice Cultivation. Nutrient Cycling in Agroecosystems, 49, 213-220. Wassmann, R., Neue, H.U., Ladha, J.K., et al. (2004) Mitigating Greenhouse Gas Emissions from Rice-Wheat Cropping Systems in Asia. Environment Development and Sustainability, 6, 65-90. Minamikawa, K., Sakai, N. and Yagi, K. (2006) Methane Emission from Paddy Fields and Its Mitigation Options on a Field Scale. Microbes and Environments, 21, 135-147. 秦晓波, 李玉娥, 刘克樱, 等. 不同施肥处理对稻田氧化亚氮排放的影响[J]. 中国农业气象, 2006, 27(4): 273- 276. 石生伟, 李玉娥, 李明德, 等. 不同施肥处理下双季稻田CH4和N2O排放的全年观测研究[J]. 大气科学, 2011, 35(4): 707-720. Eichnerm, J. (1990) Nitrous Oxide Emissions from Fertilized Soils: Summary of Available Data. Journal of Environmental Quality, 19, 272-280. Xu, H., Xing, G., Cai, Z.C., et al. (1997) Nitrous Oxide Emissions from Three Rice Paddy Fields in China. Nutrient Cycling in Agroecosystems, 49, 23-28. 朱小红, 马友华, 杨书运, 等. 施肥对农田温室气体排放的影响研究[J]. 农业环境与发展, 2011, 28(5): 42-46. 焦燕, 黄耀, 宗良纲, 等. 氮肥水平对不同土壤N2O排放的影响[J]. 环境科学, 2008, 29(8): 2094-2098. 李方敏, 樊小林, 刘芳, 等. 控释肥料对稻田氧化亚氮排放的影响[J]. 应用生态学报, 2004, 15(2): 2170-2174. Banik, A., Sen, M. and Sen, S.P. (1996) Effects of Inorganic Fertilizers and Micronutrients on Methane Production from Wetland Rice (Oryza sativa L.). Biology and Fertility of Soils, 21, 319-322. 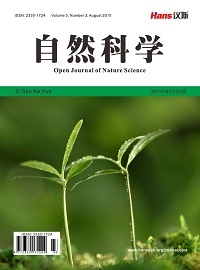 Zou, J.W., Huang, Y., Jiang, J.Y., et al. (2005) A 3-Year Field Measurement of Methane and Nitrous Oxide Emissions from Rice Paddies in China: Effects of Water Regime, Crop Residue, and Fertilizer Application. Global Biogeochemical Cycles, 19, GB2021. 石英尧, 石扬娟, 申广勒, 等. 氮肥施用量和节水灌溉对稻田甲烷排放量的影响[J]. 安徽农业科学, 2007, 35(2): 471-472. Cai, Z.C., Xing, G.X., Yan, X.Y., et al. (1997) Methane and Nitrous Oxide Emissions from Rice Paddy Fields as Affected by Nitrogen Fertilizers and Water Management. Plant and Soil, 196, 7-14. 张鲜鲜, 殷杉, 朱鹏华, 等. 上海崇明岛不同施肥条件下的稻田温室气体排放格局[J]. 上海交通大学学报(农业科学版), 2013, 31(2): 34-39. 卢维盛, 张建国, 廖宗文, 等. 不同水分管理及耕作制度对广州地区稻田CH4排放的影响[J]. 华南农业大学学报, 1997, 18(3): 57-61. 卢维盛, 廖宗文, 张建国, 等. 不同水旱轮作方式对稻田甲烷排放影响的研究[J]. 农业环境保护, 1999, 18(5): 200-202. 江长胜, 王跃思, 郑循华, 等. 耕作制度对川中丘陵区冬灌田CH4和N2O排放的影响[J]. 环境科学, 2006, 27(2): 207-213. 张军科, 江长胜, 郝庆菊, 等. 耕作方式对紫色水稻土农田生态系统CH4和N2O排放的影响[J]. 环境科学, 2012, 33(6): 1979-1986. 秦晓波, 李玉娥, 万运帆, 等. 耕作方式和稻草还田对双季稻田CH4和N2O排放的影响[J]. 农业工程学报, 2014, 30(11): 216-224. 金国强, 徐攀峰, 方文英, 等. 不同稻-麦栽培管理方式对稻季农田温室气体排放的影响[J]. 浙江农业学报, 2014, 26(4): 1015-1020. 马二登, 纪洋, 马静, 等. 耕种方式对稻田甲烷排放的影响[J]. 生态与农村环境学报, 2010, 26(6): 513-518. 张岳芳, 周炜, 陈留根, 等. 太湖地区不同水旱轮作方式下稻季甲烷和氧化亚氮排放研究[J]. 中国生态农业学报, 2013, 21(3): 290-296. 王国强, 常玉妍, 宋星星, 等. 稻草还田下添加DCD对稻田CH4、N2O和CO2排放的影响[J]. 农业环境科学学报, 2016, 35(12): 2431-2439. 侯晓莉, 李玉娥, 万运帆, 等. 不同稻秆处理下双季稻温室气体排放通量研究[J]. 中国环境科学, 2012, 32(5): 803-809. 郑支林. 土壤肥力逐年下降, 秸秆还田势在必行[J]. 现代化农业, 1998(10): 205-206. 顾道健, 薛朋, 陆希婕, 等. 秸秆还田对水稻生长发育和稻田温室气体排放的影响[J]. 中国稻米, 2014, 20(3): 1-5. Zwieten, V.L., Singh, B., Joseph, S., et al. (2009) Biochar Reduces Emissions of Non-CO2 GHG from Soil. In: Lehmann, J. and Joseph, S., Eds., Biochar for Environmental Management, Earthscan Publications, London, 227-249. Zhang, A.F., Cui, L.Q., Pan, G.X., et al. (2010) Effect of Biochar Amendment on Yield and Methane and Nitrous Oxide Emissions from a Rice Paddy from Tai Lake Plain, China. Agriculture, Ecosystems and Environment, 139, 469-475. Wang, J.Y., Pan, X.J., Liu, Y.L., et al. (2012) Effects of Biochar Amendment in Two Soils on Greenhouse Gas Emissions and Crop Production. Plant and Soil, 360, 287-298. Zhang, A.F., Bian, R.J., Hussaina, Q., et al. (2013) Change in Net Global Warming Potential of a Rice-Wheat Cropping System with Biochar Soil Amendment in a Rice Paddy from China. Agriculture, Ecosystems and Environment, 173, 37-45. 刘杰云, 沈健林, 邱虎森, 等. 生物质炭添加对农田温室气体净排放的影响综述[J]. 农业环境科学学报, 2015, 34(2): 205-212. Shen, J.L., Tong, H., Liu, J.Y., et al. (2014) Contrasting Effects of Straw and Straw Derived Biochar Amendments on Greenhouse Gas Emissions within Double Rice Cropping Systems. Agriculture, Ecosystems and Environment, 188, 264-274. Liu, J.Y., Shen, J.L., Li, Y., et al. (2014) Effects of Biochar Amendment on the Net Greenhouse Gas Emission and Greenhouse Gas Intensity in a Chinese Double Rice Cropping System. European Journal of Soil Biology, 65, 30-39. 王欣欣, 邹平, 符建荣, 等. 不同竹炭施用量对稻田甲烷和氧化亚氮排放的影响[J]. 农业环境科学学报, 2014, 33(1): 198-204. Feng, Y.Z., Xu, Y.P., Yu, Y.C., et al. (2012) Mechanisms of Biochar Decreasing Methane Emission from Chinese Paddy Soils. Soil Biology & Biochemistry, 46, 80-88. Liu, Y.X., Yang, M., Wu, Y.M., et al. (2011) Reducing CH4 and CO2 Emissions from Waterlogged Paddy Soil with Biochar. Journal of Soils and Sediments, 11, 930-939. 刘玉学. 生物质炭输入对土壤氮素流失和温室气体排放特性的影响[D]: [博士学位论文]. 杭州: 浙江大学, 2011. 花莉, 唐志刚, 解井坤, 等. 生物质炭对农田温室气体排放的作用效应及其影响因素探讨[J]. 生态环境学报, 2013, 22(6): 1068-1073. 臧英, 罗锡文, 张国忠, 等. 开沟起垄穴直播方式对水稻分蘖前期甲烷排放的影响[J]. 华南农业大学学报, 2014, 35(2): 96-100.